Did you know the hottest drink trend in the market right now comes over ice? 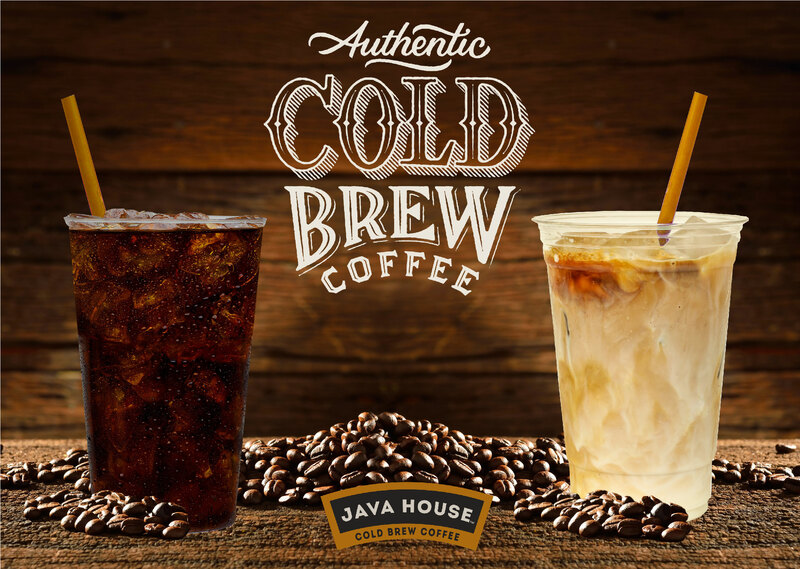 If you haven’t heard the news yet, Cold Brew is in – and it’s here to stay. Cold Brew Coffee is the term given to ice coffee that has been brewed or steeped over 12-20 hours in cool/tepid water. This results in a richer, smoother taste with no bitterness and nearly double the caffeine content of other ice coffee options. Since 2010, the cold brew market has grown 338%, with a projected 2018 growth of +149%. This represents the fastest growing beverage trend out there! To help address this exploding market, Harbor has launched a full Cold Brew Program with low entry cost, little labor, and a robust 62% profit margin! If you’d like to get started, all you will need is 18” of counter space and access to dispensed ice. For more information on how you can ‘caffeinate’ your summer coffee sales, inquire about this program with your local Harbor Rep! Did you know that over 60% (200 million) Americans consume coffee on a daily basis? Of those 200 million people, only 14 million purchase their morning brew from a convenience store. With such a big discrepancy, we have to ask ourselves, “why”? Today’s coffee consumers are much more discerning than in days past. As part of a NACS consumption survey, 51% of respondents stated the quality of their coffee was the deciding factor of where they would purchase on a daily basis. In addition to product quality, consumers are also inundated with choices – in terms of product variety AND customization. Is my average cups per day increasing or decreasing? Why? Our data indicates that higher quality blends such as single origin, organic, & high quality coffees are experiencing an average of +10% in growth year over year. Conversely, lower quality coffees & traditional blends are experiencing a (3%) dip. This does not even take into account the impact of offering variety to your customers –79% of whom indicated they choose their coffee destination before leaving home/work. 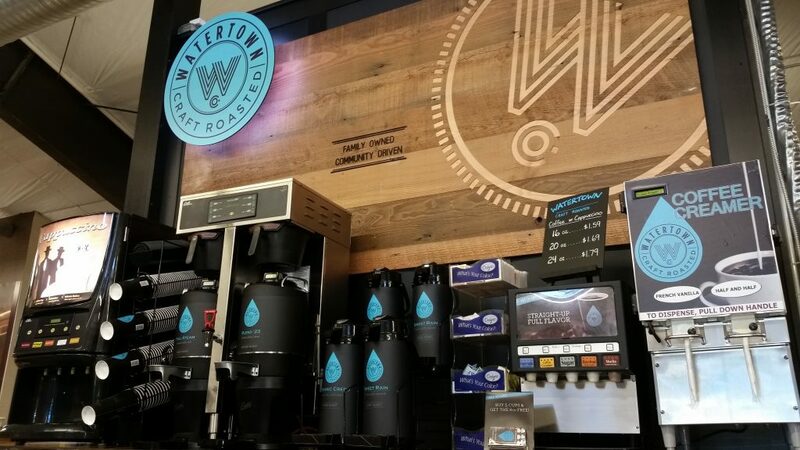 The big picture is this: coffee is the highest margin program in our stores, it is a traffic driver to our stores, and it is a complementary item. Gone are the days where a $0.99 cup of coffee will drive traffic into our doors. To keep up with not only coffeehouses and drive thru cafes, but major chains in the convenience industry as well – we need to adapt. From experience to delivery to healthy options, foodservice trends are evolving faster than ever. As a result, c-stores are ramping up innovation to keep pace with the competition. n 2018, expect to see foodservice operators scrambling to differentiate their offerings on everything from price to quality to technology and innovation. NPD Group, a global information company, forecasts flat to sluggish traffic growth for foodservice operators in 2018. Operators are looking to change that trajectory in a variety of ways, including focusing on the lower end of the price spectrum. McDonald’s, for example introduced a $1 $2 $3 Dollar Menu this January to better compete on value. The NPD Group predicts limited time only (LTO) items will be a major strategy for food operators as they target infrequent buyers, as will encouraging customer visits via loyalty programs. Expect customers to be even more strapped for time, meaning the demand for convenience especially around the dinner daypart will grow. NPD Group predicts delivered meals will be a source of growth for certain retailers, along with other convenient meal solutions. Customers will also be looking to order digitally via text messages and mobile apps, but one size doesn’t fit all. Rather, for convenience stores, realizing what foodservice solutions best meet the expectations of its customers will be as important to operational success in 2018 as it has been in the past. Nearly 50% of dinners purchased from a restaurant are consumed at home, and many in-home meals are a blend of dishes people prepare alongside ready-to-eat meals purchased at a foodservice establishment, according to the NPD Group. As new channels such as online grocery ordering disrupt food shopping, the ways in which retailers must appeal to customers are changing. Excellent customer service will be a key consideration for customers. Eric Richard, education coordinator, for the International Dairy Deli Bakery Association (IDDBA) noted crafting an experience is a must for brick-and-mortar retailers and something Gen Z—and Millennials especially—are demanding. “They want to go into a store and learn. They want to sample. They want to taste new flavors and new ingredients. That’s something you can’t get online,” Richards said. Creating an experience lends itself to another trend: transparency. Let customers know what ingredients are used. If a retailer bakes its own bread, it can better engage consumers by highlighting the ingredients, the simplicity and freshness of the goods, Richards said. Let customers see employees making the food and allow for customization. Savvy customers will notice if there’s disconnect between your restaurant and its food. In the increasingly competitive fast-casual world, keeping up to date does not just mean adding fresh offerings to your menu. It means refreshing your look to keep pace with current trends. As many fast-casual chains of different sizes are discovering, tweaking their design can be a way to attract new customers and build upon the success and message of a brand, taking it to the next stage. Established in Austin, Texas, in 2011, Verts Mediterranean Grill (originally the “Berlin-inspired” VertsKebap) underwent a change timed with the move of their headquarters to New York City two years ago. Now called Noon Mediterranean, the 19-unit chain now has two locations in Manhattan. The original name Verts was wordplay on vertical and also means green in French, but the company learned that it was hard for people to pronounce and that people did not associate with it. During the yearlong period that Verts made its branding transition, they told the agency they hired, Gin Lane (who helped develop fast casual icon Sweetgreen) that a name change was not a specific part of the makeover. During the process, however, their people at Gin Lane brought up the idea of testing the waters with a new name. Over a two-year span that was not specifically tied into the rebranding, Noon’s cuisine became more Mediterranean-based, which meant they needed hummus, tahini sauce, falafel, and other ingredients associated with that. They expanded their offerings and evolved some menu items. They focused on increased freshness and quality. They also have a seasonal menu to test out new items. Heyne says they are hearing more and more positive feedback, and while he loves Texas, the move to New York has helped the chain to stay plugged into up-to-the-minute food trends. Can quick serves capture coffee converts through creativity? Let’s get this out of the way right up front: We know an awful lot about coffee already. After centuries of cultivation in places as far-flung as Ethiopia, Indonesia, Hawaii, Brazil, and the Arabian Peninsula; after roasting, grounding, and using in beverage-making for umpteen generations; and after spawning 27,000 Starbucks stores and a trail of discarded K-Cups long enough to reach the moons of Neptune, there just isn’t a lot of mystery or intrigue left when it comes to our morning beverage of choice. And yet, according to the National Coffee Association (NCA), the percentage of Americans drinking coffee on a daily basis increased from 57 percent to 62 percent in the past year. A 5 percentage-point increase inside 12 months is a whole lot of new coffee converts in a very short time. The NCA didn’t make this particular claim, but my suspicion is that another factor that drove greater coffee consumption was the vast media attention surrounding a study on coffee consumption published in the highly regarded journal Annals of Internal Medicine this past August. Reputed to be the largest-ever study on coffee and mortality, it involved more than 520,000 people in 10 European countries. The finding? Drinking more coffee could significantly improve a person’s life expectancy. Assuming coffee’s allure isn’t just a flash in the pan, it’s worth asking whether it’s possible for limited-service chains to carve out a chunk of that growth for themselves. Here are a few trends that could help operators looking to horn in on the big coffee chains’ dominance. Brewing coffee by steeping it in cold water tends to produce a less acidic, less bitter variant. It’s generally softer on the palate because the brew oxidizes and degrades at a slower pace than it does in typical hot-water brewing. And while cold-brew coffee is often consumed in iced form, it is possible to make hot coffee using the same technique. The cold-brew approach also allows for the addition of ingredients such as chicory and spices to the base coffee, which can produce a broad range of different and interesting flavors much more subtly than you get by pouring sweetened syrup into the finished product. Cold brewing is also handy for those who like their iced coffee with a bit of effervescence courtesy of carbon dioxide. At Stumptown Coffee, for instance, the bubbly offerings include a sparkling honey-lemon cold brew and a sparkling ginger-citrus variety. Imagine a whole line of coffee “mocktails” based on sparkling cold-brew java; morning cola drinkers might never again pop a can tab or a bottle top for breakfast. Retailers that position their stores as foodservice destinations are making a promise to offer fresh, enticing meals and snacks day and night. It’s a promise they can’t afford to break. Research shows that consumers are increasingly turning to convenience stores for their meals. In its September 2017 “North American Convenience Store Consumer Study,” consulting firm AlixPartners reported that the frequency of consumers purchasing a meal at a c-store has increased by 13.2% since 2012. Consumers who participated in the study also indicated that foodservice is now the primary driver for their in-store purchases in the past 12 months. The top factors consumers consider in selecting a c-store to purchase a meal are price, quality, speed and variety. Older consumers are heavily focused on location and convenience, while Millennials and Gen X both identify price and food quality as their top considerations. At the same time, however, there is also a large percentage of the population who still view c-stores as simply snack stops. According to Eric Dzwonczyk, co-head of the restaurant practice at AlixPartners, by beefing up their menus and using every opportunity to promote their mealtime food offerings, retailers around the country are demonstrating that it is possible to break through that mindset. Though made-to-order immediately communicates freshness and generates buzz, stores that don’t have the space, labor or budget for it don’t have to be left out, said Dzwonczyk. Instead c-stores with off-site proprietary kitchens or commissaries that deliver food to the stores or even stores that have strong relationships with quality-oriented outside suppliers can become foodservice leaders in their markets. Kwik Trip, which has 550 convenience stores in Wisconsin and Minnesota, is a prime example of a grab-and-go-only operation that has firmly established itself as a food destination in its markets. In fact, when the company recently acquired PDQ Stores in the Wisconsin cities of Madison and Milwaukee, customers came in looking for their favorite sandwiches and burgers. Kwik Trip is no stranger to fresh foodservice. The company has been focusing on this category for the past 15 years. Grab-and-go is the route Kwik Trip took because that is what customers want. Cold fresh-case foods such as sandwiches, subs, salads and fruit parfaits are prepared in a proprietary off-site kitchen and delivered to the stores daily. Pizza is available for take-and-bake or baked in the stores to be sold whole or by the slice. Hot foods, such as breakfast sandwiches, burritos and burgers are cooked in the stores’ kitchens. Every day one hot item is selected for sale at “a significantly reduced price,” Servais said. Packaged Facts presents its food forecast for the year ahead. As c-stores prepare for 2018, keeping on the pulse of evolving customer tastes is key. Market research firm Packaged Facts is here to help with 10 food trends (listed in alphabetical order) retailers can expect to see more of in 2018. The trends are based on Packaged Facts’ upcoming “2018 Food Forecast Ebook” available soon on the company’s website. Aloha. The Zombies are back, along with the craft cocktail movement and the relighting of the torch for Tiki bars, with their outré, escapist karma. More than that, it’s about the foodways of culturally polyglot Hawaii, where the East and West do meet. Poke has already swept the mainland. There’s also Moco Loco and (you knew this was coming) Spam in sushi. Keep an eye out for malasadas, the Portuguese-origin eggy donuts iconic in Hawaii and popular in California. Hawaiian foods are DNAed for fusion, and especially primed for cities and eaters with complicated cultural geographies. Color Is the New Sugar. In a good way. The eye candy colors of high-antioxidant botanicals signal natural and healthy, even if it’s your matcha donut from Brooklyn’s Dough or vegan turmeric ice cream from Van Leeuwen. Chefs have increasingly taken on a Jean Arp-ian aesthetic of juxtaposing and layering, more than blending, food ingredients and colors with sushi as hero on one hand, and the sensually duo-tone egg on the other. In this corner, too, the beet goes on: earthy, vivid, and almost-too-familiar yet endlessly reinvented, beet continues to gain traction, including for its color bleed. Plus there’s purple cauliflower. Cracked Pepper Is the New Sea Salt. Peppercorns are eaten cracked, just as salt pretty much comes from the sea, but that’s not the point, especially for mass-market salty snack products. Calling out black or cracked pepper in chips and crackers says you’re more than conventionally serious about bringing it with flavor. Pepper is also flexing its flavor muscle in artisanal foods, including for dessert. Pepper has come to the fore partly because of the renaissance of interest in cured meats pastrami and pancetta, plus gravlax, as a Nordic variation on smoked salmon or lox. Everything Ancien Is New Again. If French cuisine no longer rules the roost like she used to, given our globalized food culture, she remains a very spirited Dowager Queen. In the wake of macaron mania, a revival in interest in French cuisine has stormed menus high and low: foie gras, tartare, charcuterie, and confit in fine and upscale casual dining, an avalanche of crème fraiche, and those fast-food brioche buns. French Revival shares the stage well with the artisanal food movement’s emphasis on tradition, technique, and passionate standards. Featuring Fig. Apples are great, berries may be better, but fresh figs just have more going on. They also have been doing it longer, with the easily propagated fig going back to the salad days of Middle Eastern and Mediterranean Rim agriculture. Chefs and specialty foods call out varietals, including for regional notes with the California Black Mission fig or the Turkish Calimyrna. In restaurants, figs’ home base is fine dining, but upscale casual dining is where the growth has been. Fig brings star power to sweet & savory, and you can make it a double feature with fresh figs plus a balsamic fig vinaigrette or a fig-bacon jam. With some forethought, retailers can have successful foodservice LTOs this time of year. As 2017 winds down, there’s still time for retailers to showcase limited-time foodservice offers with a flavor of the season, QSR Web reports. New LTOs keep your customers interested and your brand fresh while driving sales. Here are some things to keep in mind as you run a LTO. 1. Know your food-safety risks. Many LTOs incorporate new ingredients, so it’s wise for retailers to know how to keep and store those ingredients safely. For example, ingredients could arrive in different packaging, such as reduced oxygen or vacuum-sealed packaging, that your kitchen staff might not be familiar with or know the proper way to handle those items. Also, ensure your staff has the proper equipment to safely handle the new ingredients. For example, if you mainly did pizzas, but have added chicken wings as a LTO, you will need separate areas for prepping the raw meat. 2. Plan staffing and supplies. Talk with your supplier to ensure you will have a balance of adequate quantities of ingredients to avoid selling out on launch day, while not wasting food. Also look at your staff roster to make sure you will have enough workers per shift, especially during peak times. 3. Provide training. Team meetings and demos will help your staff to know how to cook—and how to sell—the new LTOs. Tastings for your staff will also help gin up enthusiasm. Don’t overlook cleaning techniques for any new equipment added for the LTOs. Also have staff, especially frontline staff, memorize the ingredients of the new products in order to answer customer questions. Although limited-service restaurant operators usually offer at least one sweet baked item on their menus, these goodies are not always featured prominently. Even at some bakery-cafés, they can be found near the bottom of the menu. Nonetheless, these items—cookies, cakes, pies, breakfast pastries, and the like—don’t need to be an afterthought. Being creative with them, including their size and ingredients, can entice consumers who are seeking to be a bit more indulgent with meals and snacks. “They are as important as any other menu category,” says Jesse Gideon, executive chef and chief operating officer at Atlanta-based Fresh to Order. The items should align with an operator’s “core concepts,” he adds, which in the case of Fresh to Order includes using all-natural ingredients. At the same time, offering tasty sweet baked goods helps keep purchases in-house, rather than forcing a customer to go elsewhere for a dessert item or snack. “The ability to make a [dining] experience a complete one in our four walls and not have a guest make an additional trip to complete their meal expectations is extremely important for us,” Gideon says. Sweet baked goods “are pretty reliable items and appeal to a large number of people,” says Maeve Webster, president of Menu Matters, a Vermont-based foodservice consultancy. Cookies, brownies, and bars are fan favorites due to taste and portability, making them the most populous baked sweets in the limited-service space. Baked goods have long been part of the quick-service universe. Cookies and brownies alternately appear and disappear from menus, and it’s been a quarter-century since McDonald’s switched its fried apple pie dessert to a baked product. Overall, baked items in limited-service restaurants have grown 8 percent over the past two years, according to market research firm Euromonitor, but sweet baked product sales have been flat, according to Datassential, another market researcher.